I’ve been terribly neglectful of posting, or even shooting photographs lately. Guess I’ve been in a photography funk, just haven’t been that inspired for the past few months. I shot this one in raw NEF format using my Nikon D700 and the 28-300mm lens, and processed in Paintshop Photo Pro X3. Since I was having to use such a large aperture opening (small F-stop) to get enough light to the sensor, I wound up with a very shallow depth-of-field, but in this case I think it totally works. I intentionally desaturated the color to add that little bit of innocence and wistfulness to the scene. Such cuties! This entry was posted in Shooting and tagged 28-300mm, animal, camera, cat, D700, depth of field, kitten, Mississippi, Nikon, Paint Shop Pro, photography. Bookmark the permalink. This makes me want to adopt a kitten! Nice shot! 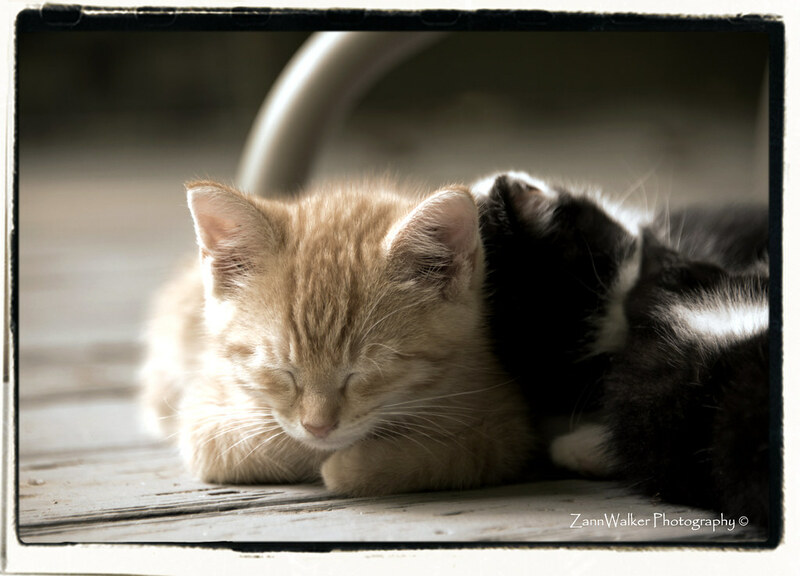 what a sweet photo….the kittens are adorable…. I don’t like cats, but have to admit it is a nice frame!